Step out of the city life by going to Cable Beach and Malcolm Douglas Crocodile Park and Animal Refuge. Your inner history buff will appreciate Catholic Diocese of Broome and Japanese Cemetery. Spend the 13th (Fri) wandering through the wild on a nature and wildlife tour. There's more to do: explore the striking landscape at Gantheaume Point and get up close to creatures of the deep with a dolphin and whale watching tour. For ratings, more things to do, photos, and more tourist information, go to the Broome driving holiday site . Manchester, UK to Broome is an approximately 26-hour flight. You can also do a combination of train and flight. Traveling from Manchester to Broome, you'll lose 8 hours due to the time zone difference. Traveling from Manchester in September, you will find days in Broome are much warmer (38°C), and nights are a bit warmer (21°C). Finish your sightseeing early on the 14th (Sat) so you can travel to Denham. Denham is the administrative town for the Shire of Shark Bay, Western Australia. 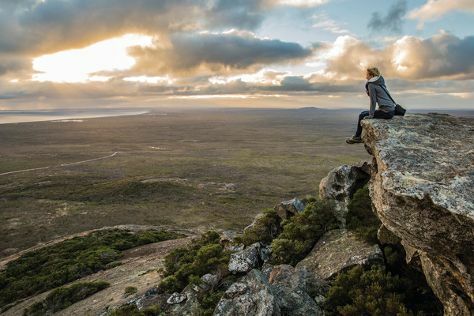 Kick off your visit on the 15th (Sun): get great views at Eagle Bluff, then stroll through Shell Beach, and then explore the striking landscape at Hamelin Pool Stromatolites. 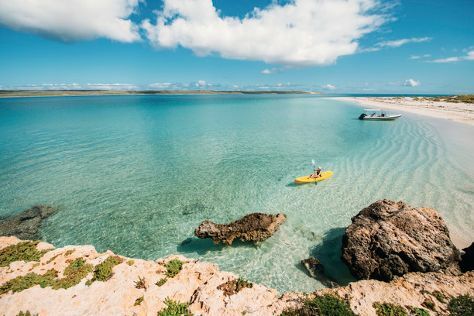 Get ready for a full day of sightseeing on the 16th (Mon): tour the pleasant surroundings at Little Lagoon and then look for all kinds of wild species at Shark Bay. To find reviews, more things to do, other places to visit, and tourist information, refer to the Denham trip itinerary planning tool . Getting from Broome to Denham by flight takes about 6.5 hours. Other options: do a combination of flight, bus, and shuttle; or drive. Finish your sightseeing early on the 16th (Mon) so you can drive to Exmouth. Exmouth is a town on the tip of the North West Cape in Western Australia. On the 17th (Tue), meet some fierce fish with a shark diving experience and then see what you can catch with a fishing tour. On the next day, see the vivid underwater world at Ningaloo Reef, then enjoy the sand and surf at Turquoise Bay, and then view the masterpieces at The Ningaloo Gallery. To see maps, traveler tips, photos, and other tourist information, use the Exmouth road trip tool . Traveling by car from Denham to Exmouth takes 8 hours. Alternatively, you can do a combination of car and bus; or fly. In September, daily temperatures in Exmouth can reach 35°C, while at night they dip to 15°C. Finish your sightseeing early on the 18th (Wed) so you can travel to Esperance. Esperance is a town in the Goldfields-Esperance region of Western Australia, on the Southern Ocean coastline approximately 720km east-southeast of the state capital, Perth. Start off your visit on the 19th (Thu): explore the wealth of natural beauty at Cape Le Grand National Park. 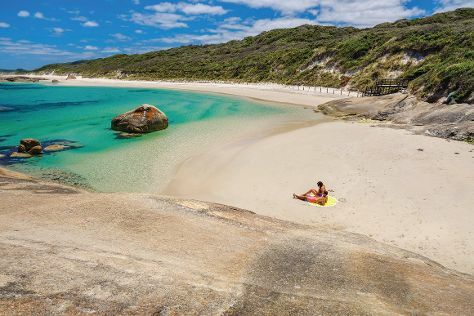 On the next day, contemplate the long history of Esperance Stonehenge, then enjoy the sand and surf at Lucky Bay, and then enjoy the sand and surf at Twilight Bay. To see reviews, traveler tips, more things to do, and other tourist information, go to the Esperance road trip planner . Fly from Exmouth to Esperance in 6.5 hours. Alternatively, you can do a combination of flight and bus; or drive. While traveling from Exmouth, expect cooler days and slightly colder nights in Esperance, ranging from highs of 22°C to lows of 9°C. Wrap up your sightseeing on the 20th (Fri) early enough to drive to Albany. Kick off your visit on the 21st (Sat): enjoy the sand and surf at Little Beach, then stroll through Greens Pool, and then pause for some serene contemplation at The Church of Saint John the Evangelist. On your second day here, get a new perspective on things with Boat Tours & Water Sports. For other places to visit, where to stay, traveler tips, and other tourist information, use the Albany trip itinerary maker website . Traveling by car from Esperance to Albany takes 5 hours. Alternatively, you can fly; or take a bus. In September, daily temperatures in Albany can reach 21°C, while at night they dip to 9°C. Finish up your sightseeing early on the 22nd (Sun) so you can go by car to Margaret River. Get in touch with nature at Dolphin & Whale Watching and Jewel Cave. Cape Leeuwin Lighthouse and Cape Naturaliste Lighthouse will appeal to history buffs. Go for a jaunt from Margaret River to Dunsborough to see Meelup Beach about 48 minutes away. Spend the 23rd (Mon) on a tasty journey with a beer tour and tasting. It doesn't end there: explore the fascinating underground world of Lake Cave and enjoy the sand and surf at Surfers Point. For other places to visit, maps, more things to do, and more tourist information, go to the Margaret River online trip itinerary maker . Traveling by car from Albany to Margaret River takes 4.5 hours. Alternatively, you can take a bus; or do a combination of flight and bus. Wrap up your sightseeing on the 25th (Wed) early enough to drive to Fremantle. Your itinerary includes some good beach time at Cottesloe Beach and Scarborough Beach. 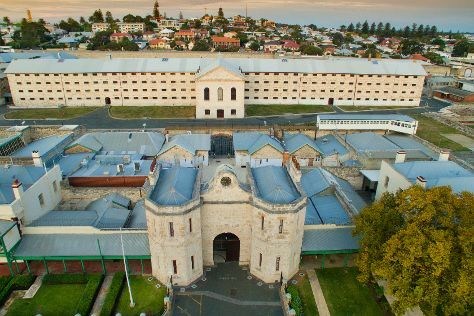 Deepen your sense of the past at sights like Fremantle Prison and The Fremantle Round House. Get out of town with these interesting Fremantle side-trips: Perth (The Perth Mint, Kings Park & Botanic Garden, & more) and Caversham Wildlife Park (in Whiteman). And it doesn't end there: enjoy the sand and surf at City Beach, appreciate the history behind Kings Park War Memorial, take in the architecture and atmosphere at St John's Anglican Church, Fremantle, and make a trip to Wesley Church Fremantle. To find maps, other places to visit, photos, and tourist information, you can read our Fremantle trip maker site . You can drive from Margaret River to Fremantle in 3 hours. Other options are to take a bus; or do a combination of bus and train. In September, daytime highs in Fremantle are 24°C, while nighttime lows are 9°C. Cap off your sightseeing on the 29th (Sun) early enough to travel back home.